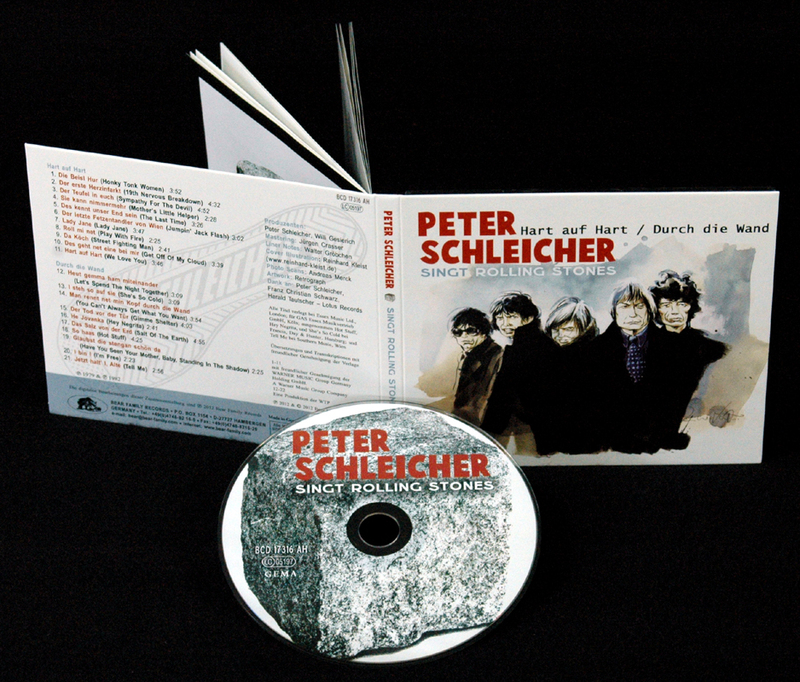 1-CD-Album DigiPak (4-plated) with extensive booklet, 21 tracks. Playing time approx. 73 mns. Exclusive release to coincide with the 50th anniversary of the Rolling Stones! Two very rare original LPs make their CD debut! 21 Jagger-Richards classics from the '60s & '70s in the Austrian dialect! No. 1 hits and classic Stones songs with a new twist! Complete lyrics! Now this is an anniversary! Fifty years ago, the Rolling Stones came together. In today's fast super-idol one-hit-wonder music business, fifty years is an eternity. How can we celebrate Hasn't everything been written or said, and hasn't every last song been released Well, no. Leave it to Bear Family to find something that hasn't been heard ... at least for a very long time. July 12, 1962 is the date when the 'Rollin' Stones' named themselves for a Muddy Waters song and made their debut at London's Marquee Club. They started out with R&B covers, but evolved quickly their own sound. Styles in music came and went, but the Stones stayed. A tour marking their half-century is on the cards. Millions of fans worldwide would like to see it happen. Recording artists and garage bands from across the world have covered Mick Jagger-Keith Richards compositions. In 2006, Bear Family released the most successful German language cover versions on 'Ein Herz aus Stein' (BCD 16667). It included some of Germany's most popular artists, like Karel Gott, Udo Lindenberg, Trude Herr, the Theo Schumann Combo (ex-GDR), and Juliane Werding. That compilation also included two Rolling Stones songs from an unlikely source, Peter Schleicher. A well known and highly respected singer and keyboard player from Vienna, he has received rave reviews also for album releases in his Austrian homeland since the 1960s. 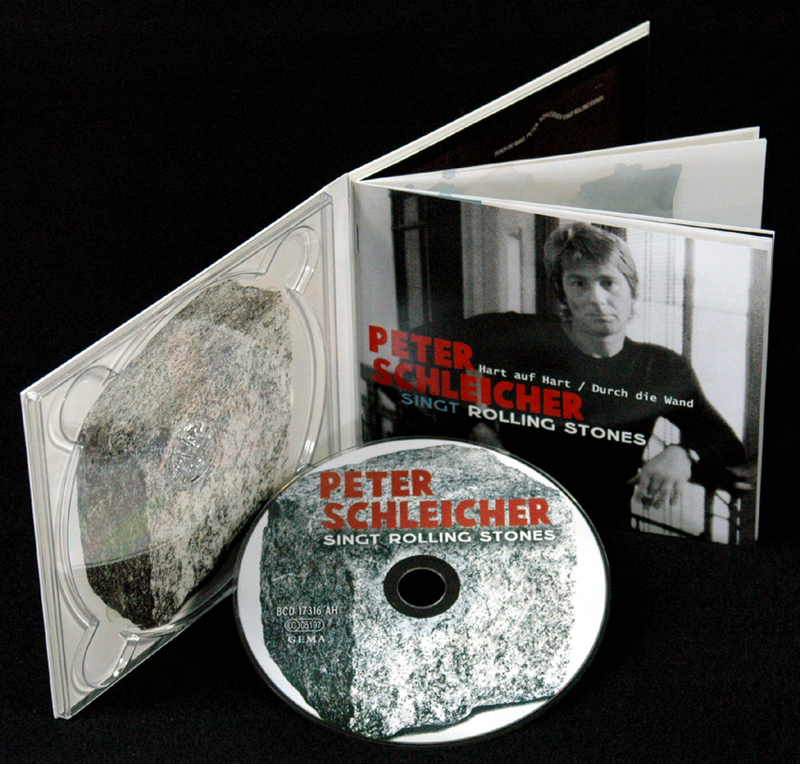 But the Rolling Stones It's true, Peter Schleicher recorded two complete albums containing the Stones' best songs. They were released in 1979 and '83 as 'Hart auf hart' and 'Durch die Wand'. No one noticed at the time, but it's time to rediscover them. Both LPs are true rarities today and command hundreds of Euros when they appear. Well, if they cost that much why not get the CD Because there was no CD until now! 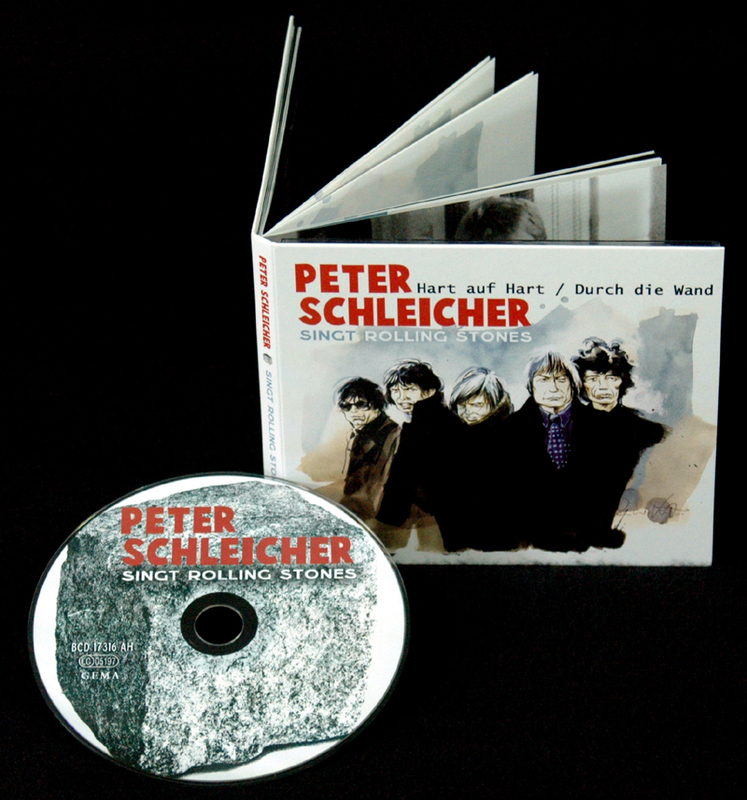 Here for the first time on one CD are 'Hart auf hart' / 'Durch die Wand' - Peter Schleicher sings Rolling Stones' (BCD 17316)! Eighteen of the twenty-one songs are from the 1960s, and all are world famous Stones tunes. They include Honky Tonk Women (Die Beisl Hur), Street Fighting Man (Da Köch), Gimme Shelter (Der Tod vor der Tür), The Last Time (Des kennt unser End sein) as well as Play With Fire (Roll mi net). The cream of Austria's studio musicians back Peter Schleicher. And in case you have trouble understanding the Austrian dialect, Bear Family has included all lyrics to every song. Another gap in recording history filled! Österreichischer Sänger und Keyboarder (Jahrgang 1945) aus Wien, der bereits in den 60er Jahren mit Bands wie The Clan – hier angeblich mit Ludwig Hirsch – und Plastic Drug aktiv gewesen ist. Langspielplatten und Singles unter seinem Namen bzw. mit der Peter Schleicher Band sind erst seit 1978 ('Daham') bekannt. 1979 erschien sein erstes Album, auf dem sich ausschließlich Rolling-Stones-Songs mit neuen (Schleicher-)Texten befanden: 'Hart auf hart' für WEA. Auf Polydor Österreich wurde 1983 das zweite Projekt dieser Art veröffentlicht, 'Durch die Wand', bekannt geworden auch durch das unverwechselbare Cover-Motiv von Manfred Deix. 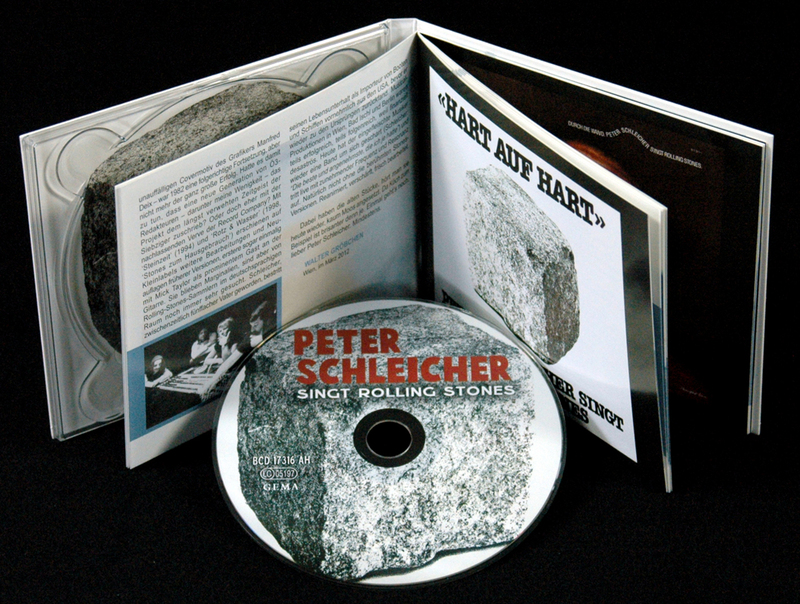 1994 ('Steinzeit') und 1998 ('Rotz und Wasser') kamen CDs mit Jagger/Richards-Nummern in den Handel – mit zum Teil neu eingespieltem Material, bei dem unter anderem der ehemalige Stones-Gitarrist Mick Taylor Hand anlegte. Die hier enthaltenen Titel Das Salz von der Erd' (Original: Salt Of The Earth) und Man rennt net min Kopf durch die Wand (Original: You Can't Always Get What You Want) stammen aus der Stones-Hoch-Zeit 1968/69 von den Alben 'Beggars Banquet' und 'Let It Bleed'. 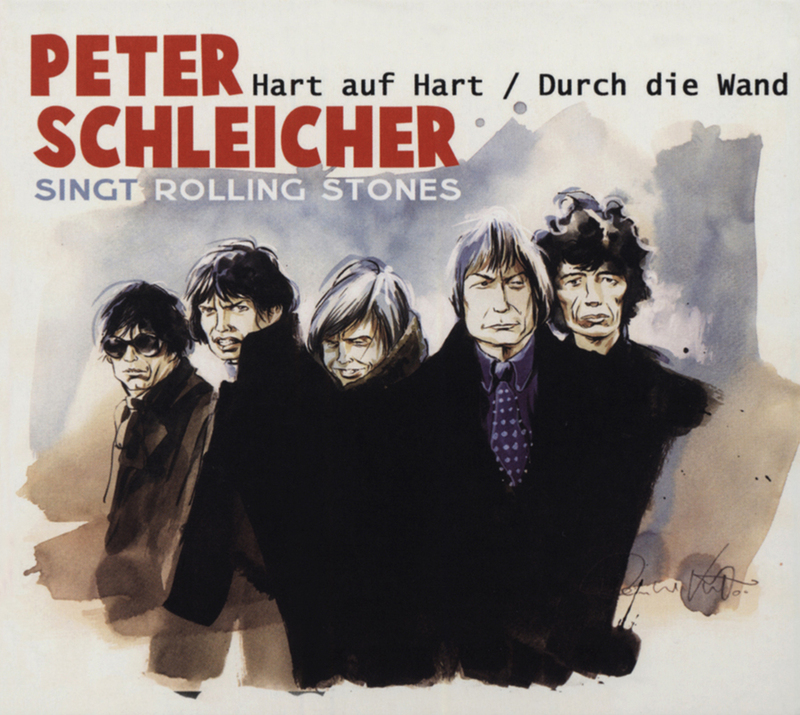 Customer evaluation for "Peter Schleicher - Singt Rolling Stones - Hart auf Hart & Durch die Wand"